Phoenix Contact has introduced new electronics housings for especially harsh ambient conditions. The robust housings of the ECS series, with IP69 degree of protection, are suited for a broad temperature range of -40°C to +100°C, and reliably protect the integrated electronics against physical influences. These electronics housings are therefore a particularly good solution for devices for both indoor and outdoor applications. 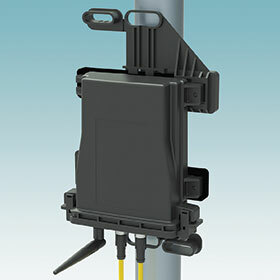 Standardised panel feed-throughs such as M20, PCB connection technology such as M12, and optional accessories for wall and mast installation also increase the application spectrum of these robust housings.